FROM THE BRISBANE INTERNATIONAL – Roger Federer and Lleyton Hewitt are both 32 years old, more or less grew up together on tour and once had a tremendous rivalry. Hewitt peaked early than the Swiss, winning his sole two majors at in 2001 US Open and 2002 Wimble, while it took Federer until 2003 Wimbledon to win his first crown. An early chapter of their rivalry was written in the 2003 Davis Cup semifinals, when the Aussie snarled and counterpunched the Swiss into the turf for a 5-7 2-6 7-6 7-5 6-1 victory in Melbourne. It’s still match that is talked about in Davis Cup circles and is certainly one of the most dramatic played between two former No. 1’s in the competition. After that victory, Hewitt led the rivalry 7-2, but oh-so-quickly, Federer turned the tables on him, besting the then counterpuncher in three 2004 Grand Slams. Federer’s level soared that year, as he tightened up his all round games, was no longer just a pretty player with bursts of brilliance, but a very effective and steady competitor who was a light-footed shotmaker. He was almost impossible to trip up. He would win 16 of their next 17 matches and clearly became a better player. “I had the tough match where I lost the Davis Cup here in 2003 in the semis,” Federer said. They played against each other in five more Slams post 2004, all wins for the Swiss, who owns a much stronger forehand and serve and avoided being caught in death spiral crosscourt backhand rallies with the Aussie. Now the two practice together constantly and on occasion hang out off court. While they are no longer at their peaks, with Hewitt hovering outside of the top 50 and Federer outside of the top 5, they are both smart, resourceful players, which is why they will meet in the Brisbane finals. 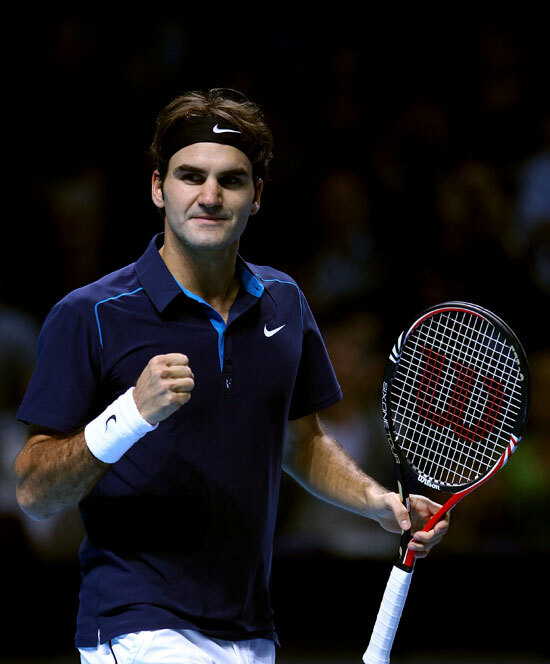 On Saturday, Federer bested Jeremy Chardy 6-3 6-7 6-3, and Hewitt overcame Kei Nishikori as 5-7 6-4 6-3. It is highly unusual for have some so many Grand Slam champions facing off in finals at any given week of the year. In the three WTA events, five women with a combined 28 Grand Slam titles reached the finals, perhaps an all time first. Both finals in Brisbane featured former major champs and in Auckland, 2008 Roland Garros titlist Ana Ivanovic claimed her first title in more than two years with a 6-2, 5-7, 6-4 victory over seven-time Slam champ Venus Williams. “It’s amazing,” Ivanovic said. “Coming into this week I didn’t really have any expectations. I didn’t even think about making the finals or winning it. I just tried my best, and I felt very comfortable here. Today was a great match. Venus is always very tough – she’s a great champion and showed that again today. In Shenzhen, 2011 Roland Garros champion Li Na overcame fellow Chinese Peng Shuai 6-4, 7-5. The fans there were overjoyed to see two of their own facing off. The Doha ATP final is a very attractive one, too, with 13 time Slam champ and No. 1 Rafael Nadal set to face Frenchman Gael Monfils.